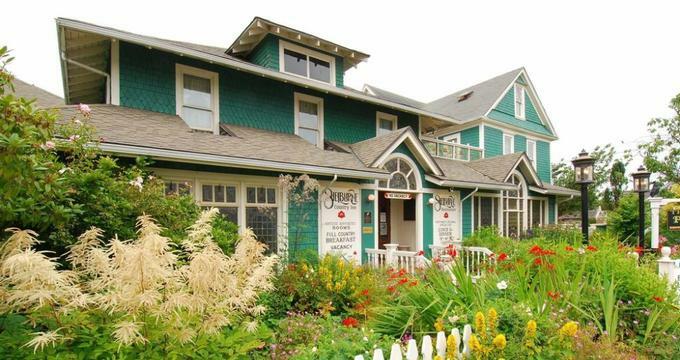 Situated in the quaint seaside town of Seaview near Long Beach in Washington, the Shelburne Inn Bed and Breakfast is a classic American boutique hotel and one of the oldest, continuously operating hotels in Washington State. 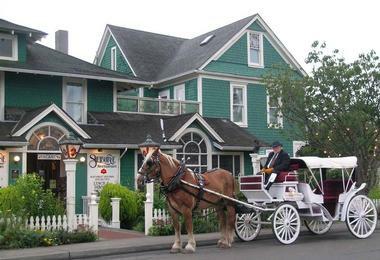 Established in 1896 on the shores of the Pacific Ocean on the Long Beach Peninsula, the charming hotel has an elegant grace and timeless appeal and has been serving as an escape from the city for Portlanders for over 120 years. Owned by husband and wife team, David Campiche and Laurie Anderson since 1977, the Shelburne Inn is a relaxing retreat for city dwellers, with 15 beautifully appointed, antique-furnished guest rooms with private bathrooms and decks boasting gorgeous views. Convenient additions to the Inn include modern amenities such as complimentary wireless Internet and a guest library with an array of reading material, as well as a computer for guest use. The Shelburne Inn Restaurant & Pub is renowned for its cuisine, which features fresh seafood and local specialties, from Dungeness crab and Willapa Bay oysters to freshly picked berries and mushrooms. A gourmet breakfast is served every morning in the Shelburne Restaurant, which offers a relaxed, elegant environment in which to start the day, while the nearby Shelburne Pub serves light fare and drinks throughout the day. The Shelburne Inn Bed and Breakfast offer 15 beautifully appointed guest rooms with en-suite bathrooms and private decks. Furnished with fine period antiques from around the world, guest rooms also feature original artworks from the Innkeepers’ private collection and modern amenities such as hairdryers and complimentary wireless Internet. Guest rooms feature double, queen or king-size canopy or four poster beds in crisp linens and plush comforters in elegant country-style fabrics and private bathrooms with showers and/or bathtubs, thick towels and deluxe bath products. Tier One Rooms feature double beds and private tiled bathrooms with showers and antique claw foot tubs and enjoy private access to the outside roof patio. Two Tier Rooms features queen-size beds in plush linens, beautiful antique décor, and stained glass windows, private bathrooms with antique claw foot tubs and shower units, thick towels and deluxe bath products. 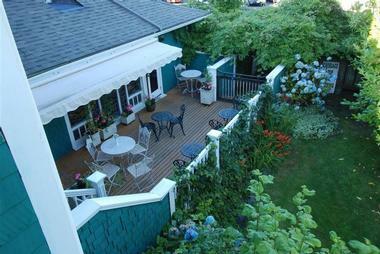 Two of these rooms share a lovely private deck with gorgeous views. Deluxe Rooms feature queen-size or twin beds in plush linens, separate sitting rooms with hand-stenciled walls and 19th-century European pine furnishings, private bathrooms with antique claw foot tubs and shower units, thick towels and deluxe bath products. 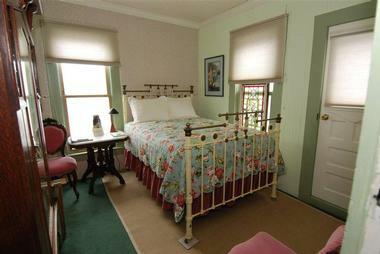 Stained glass windows flood rooms with natural light and overlooks the pretty herb garden. Luxury suites feature king or queen size beds canopy or four poster beds with crisp linens and plush comforters in elegant country-style fabrics and private bathrooms with showers and/or bathtubs, thick towels and deluxe bath products. Separate sitting areas have comfortable décor and furnishings and private balconies boast beautiful views over the garden. Additional guest services include a gourmet breakfast served every morning in the sunny dining room, and complimentary coffee, tea and cookies on arrival and throughout the day. 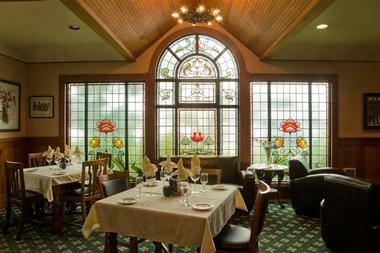 A gourmet breakfast is served every morning in The Shelburne Restaurant, which offers a relaxed, elegant environment in which to start the day, while the nearby Shelburne Pub serves light fare and drinks throughout the day. 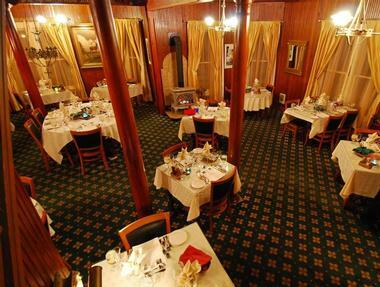 Situated next to The Shelburne Inn, the Shelburne Inn Restaurant & Pub is renowned for its cuisine, which features fresh seafood and local specialties, from Dungeness crab and Willapa Bay oysters to freshly picked berries and mushrooms. A selection of fine wines, craft beers, and handcrafted cocktails is available to enjoy with the food. The Shelburne Inn, Restaurant & Pub is an ideal location for social gatherings, business meetings, with over 38 years of experience in hosting events and functions. With 15 guest rooms, the Shelburne Inn can host up to 33 guests at full capacity, while the nearby sister property of China Beach Retreat can accommodate eight more. The Shelburne Inn offers an array of amenities to enhance guests stay, including a full complimentary gourmet breakfast served in the elegant dining room every morning, freshly baked cookies on arrival and a free coffee and tea service throughout the day. 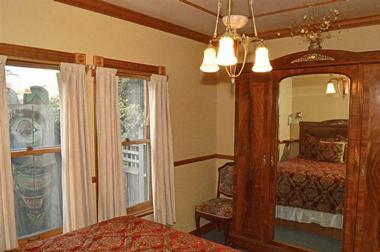 Guests have use of the Inn’s computer for personal use, and there is complimentary wireless Internet in each room and around the property. Nestled in Seaview the Long Beach Peninsula between the Columbia River and the Pacific Ocean, The Shelburne Inn boasts an array of activities to enjoy. Known for its 28 miles of magnificent sandy shoreline, the Peninsula offers plenty of outdoor recreation, from long walks on the beach, clamming, surfing or deep-sea fishing to horseback riding on the beach, kayaking, wild mushroom hunting, and picnicking. For the less adventurous, there are plenty of shops, boutiques, bookstores and galleries to browse and explore, oyster farming to discover and stunning scenery to soak up all around.